Before we begin our journey in Middle-Earth, I thought I should provide you with a brief overview of what comes in the box, what the gameplay is like, and what to expect in my adventures. 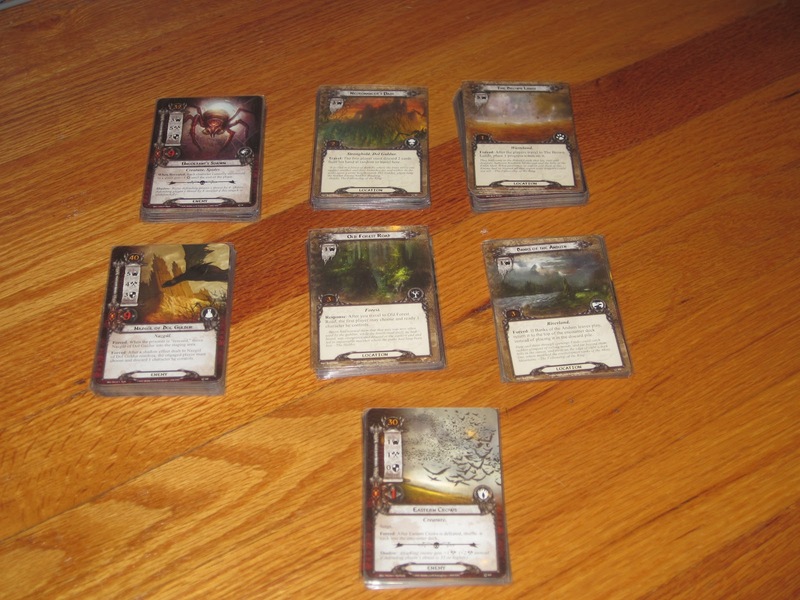 One of the things that I really appreciate about the Lord of the Rings LCG is how story-driven it is. It is a cooperative game, and it has players playing against scenarios with various difficulties (ranging from 1 to 10). But what’s great about these scenarios is that they are tangential to the Lord of the Rings books. That is, they easily fit within Middle-Earth, and in some cases are even mentioned in the books but without being discussed in depth (for example, the search for Gollum). While I’m sure this is a mercenary decision on Fantasy Flight’s part–if you only publish scenarios in the quest to destroy the ring, well, you’ll eventually run out of material–it’s an exciting opportunity for players to forge their own path through Tolkien’s world. The heroes in their spheres. 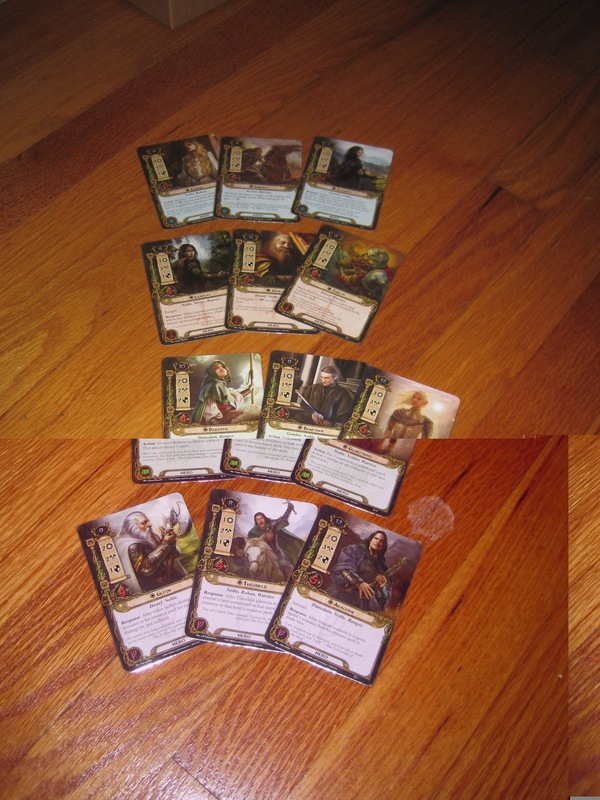 The Lord of the Rings LCG core set comes with four preconstructed decks, each deck focusing on a different sphere: Tactics (military strength), Leadership (recruiting and equipping characters), Lore (knowledge, represented by healing characters and drawing cards), and Spirit (willpower and the general hardiness required to walk into Mordor). 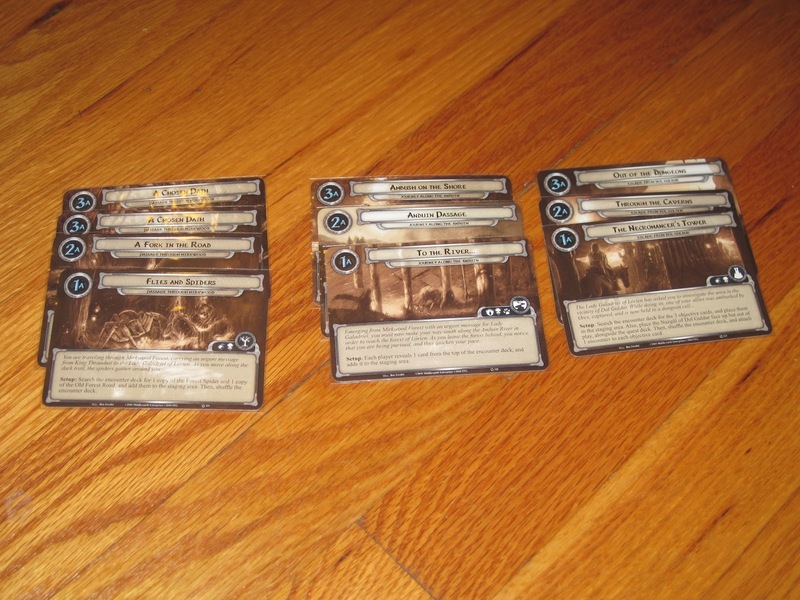 Each pre-built deck contains 30 cards and three heroes in that sphere, some of them well-known characters (like Aragorn, Eowyn, or Gimli), and others less well-known. 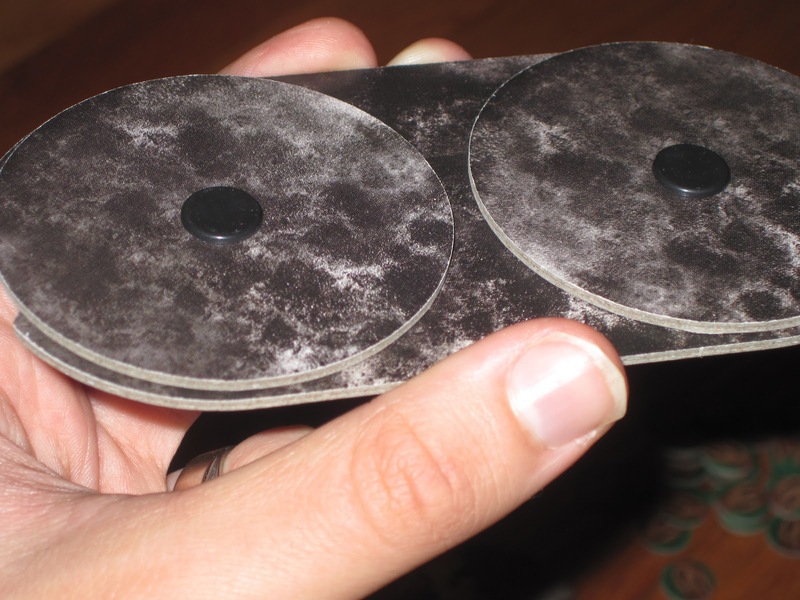 The bummer about these pre-built decks is that they are not tournament legal. That is, while players can pick up and play the decks as-is just for fun, they wouldn’t be welcome in any tournament or experienced-player setting. 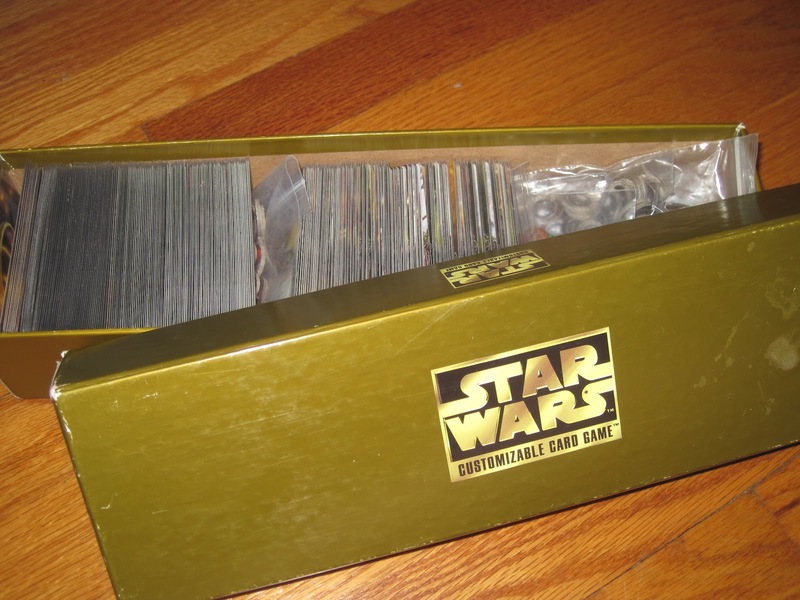 Of course, while this is in some ways a bummer, in other ways it encourages players to participate in one of the strengths of a customizable game: deck building. 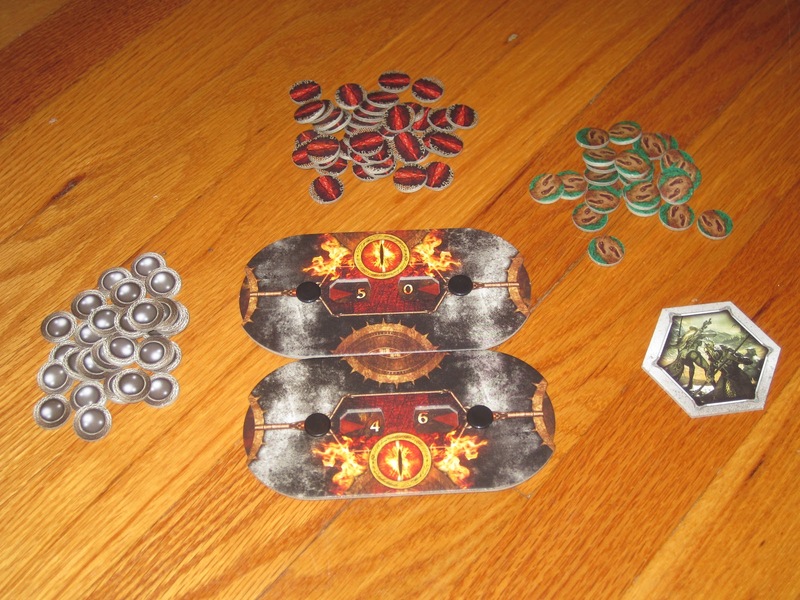 These are the awesome cardboard tokens. I won’t go too in-depth with the rules since the rulebook is readily available on FFG’s website. The rulebook contains a lot of information, but it is laid out well. I’ve had some experience with customizable games before, so I understand the need for a long rulebook, even just providing a skeleton for play. But, boy, was it hard to keep track of all of the phases in a round the first few times I tried this game, and I had to make a cheat sheet to keep things straight. There are seven phases, and many of them seem to run together. Still, what was initially a burden became second nature after my first few plays. The flow of a turn is as follows: gather resources (what you need to play cards, represented by the gray tokens), play allies and attachments (items, etc.) using resources from a hero’s pool of the same sphere, try to make progress on your quest to move on to the next card, travel to a mysterious location (to increase your chances at improved questing), have enemies engage you, fight the enemies, and refresh. This is the back of the threat tracker. The wheels turn well and maintain their number nicely. The game measures how dangerous the situation is getting for players using a threat tracker. During the refresh phase of every turn, players must increase their threat level on their trackers by 1. Players also increase their threat level when they quest unsuccessfully. When determining whether enemies attack, players use their threat dials. So, for example, some of the more powerful enemies–like the Nazgul of Dol Guldur–won’t engage players with a threat level below 40. Others (a band of puny orcs, for example) might come after a player whose threat level is at 15. Players start the game with a threat level based on the one to three heroes they choose for the game, with better heroes having a higher initial threat contribution. 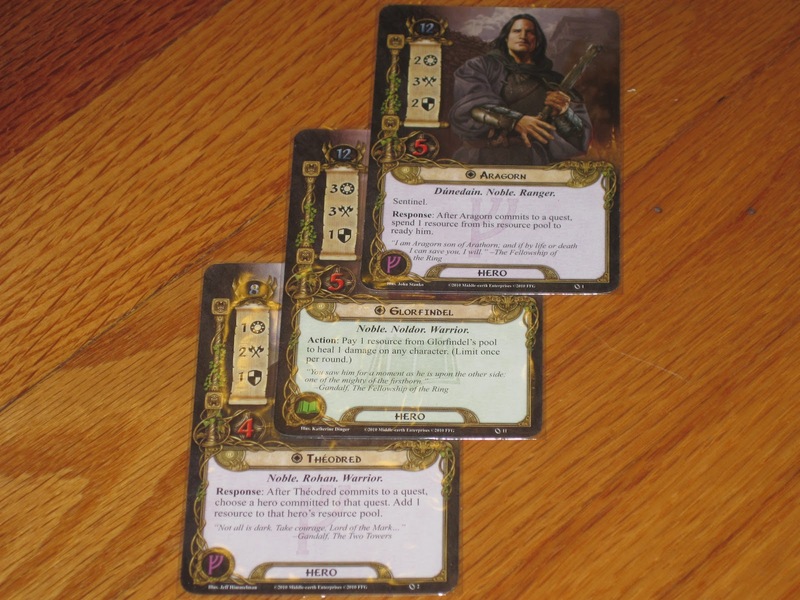 Having Aragorn on your team is awesome; contending with his starting threat of 12 is not. 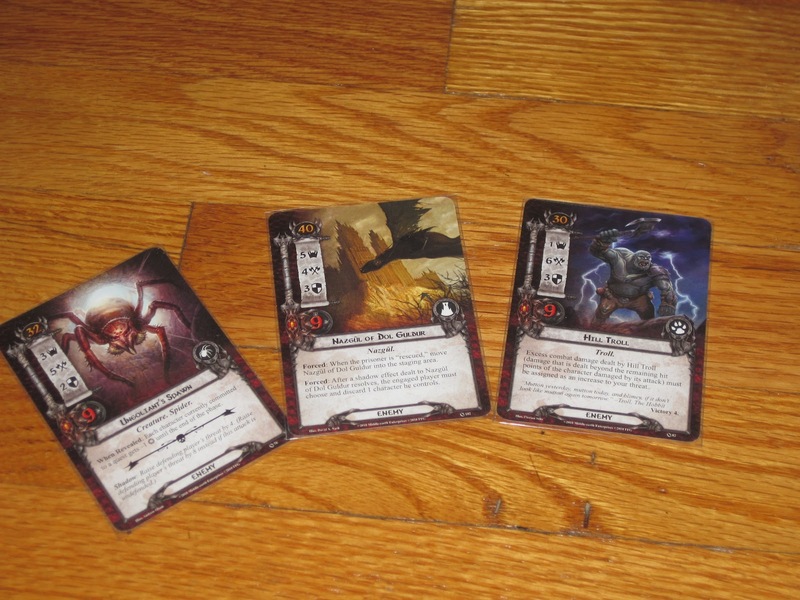 There are several ways to lose in the Lord of the Rings LCG–all your heroes die, your threat level reaches 50, another scenario-based condition is met–but only one way to win: complete the scenario. I won’t get into how difficult the scenarios are in this post, but I will say that they are not easy. In my next post, I’ll describe my experience with the first (and easiest) of the core set scenarios, A Passage through Mirkwood. Stay tuned! The Fellowship is a series wherein I detail my experiences with The Lord of the Rings Living Card Game from Fantasy Flight Games. If you’d like to read other articles in this series, click on “The Fellowship” tag below.